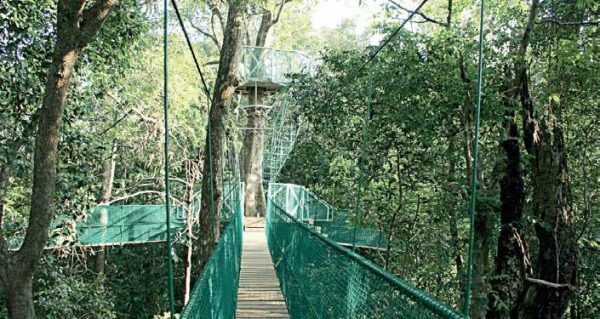 There is a lot to visit tourists in Karnataka, located in South India, but now it has added a name which is Nature Walk Canopy. A place where tourists will be able to adorn the magnificent beauty of Karnataka with a height of 30 feet from the ground and also capture these captivating scenes in their cameras. 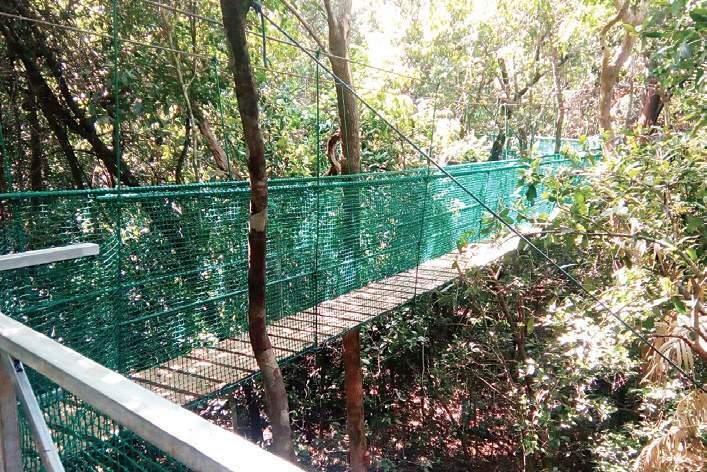 This is India’s first Nature Walk Canopy, which has been created by the Karnataka Government. Yes, you heard that right, after all, even in India, our first Nature Walk has been established, which is in kuveshi, a small village in Karnataka. It has been officially opened for tourists on February 18, 2018. You have so far been tracking tremendously in the forests, and you have also seen nature and wildlife, but the experience that you are going to do on this canopy is incredible. Where is India’s first nature canopy? This Nature Wave has been built in the kuveshi area of Western Ghats in Karnataka. kuveshi is a small village in northern Kannada. What Is The Nature Of Canopy? This is India’s first canopy speech developed by the Karnataka government. This canopy speech is 240 meters long and 30 feet high from the ground and you’ll witness the beautiful gates of Western Ghats. How Many People Can Walk Together? The Nature canopy walk they can walk around 10 people on, and with the Western Ghats of beauty, can admire the wildlife. This area is home to Malabar squirrel, lion-tailed macaque, hornbill, Oriental Kingfisher, woodpeckers and butterflies, white-bellied Trypi. This is something which is home to species of trees, 100-year-old trees are also included, such as Malabar tamarind, cinnamon, bamboo, buni, eucalyptus, Lntan, silver oak, teak, and Jamba, etc. The nearest airport is Belgaum Airport, also known as Belagavi Airport. You will have to spend 5,000 rupees for a daily flight from New Delhi. The distance to the airport from the airport is 105 km, which can be completed by the cab or bus in three hours. Goa Express is the only direct train from New Delhi, which can reach Castlerock, which is the nearest railway station of Canopy Walk. After a 36-hour train trip, you can take a bus or taxi from the railway station for the cavity.